HOW IT WORKS: Powered by 3 “AA” batteries (NOT INCLUDED), this Air Power Soccer Disk glides on a cushion of air! 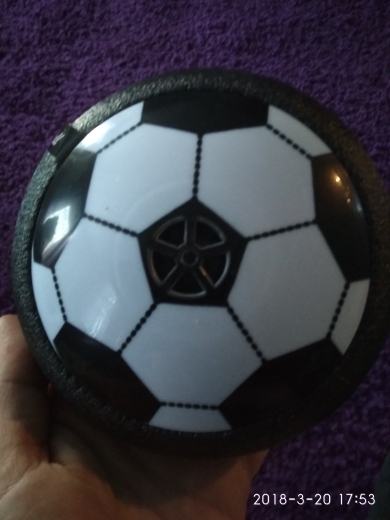 DURABLE: You can kick it like a real soccer ball, smack it with a real hockey stick or send it sailing like a bowling ball crashing into your “bowling pins” of plastic bottles or cups! 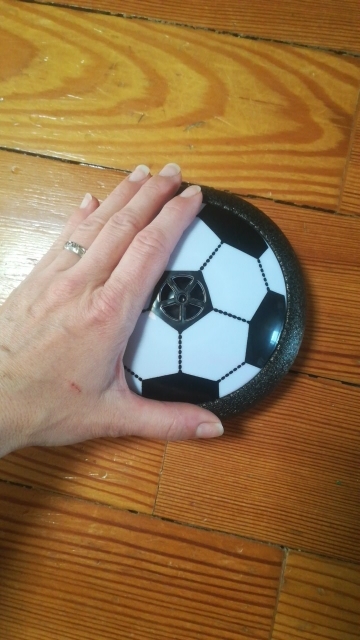 SAFE: This Soccer Disk has a protective bumper so it’s safe to play inside! It won’t ding up the furniture or walls and it won’t scratch up the hardwood floors! 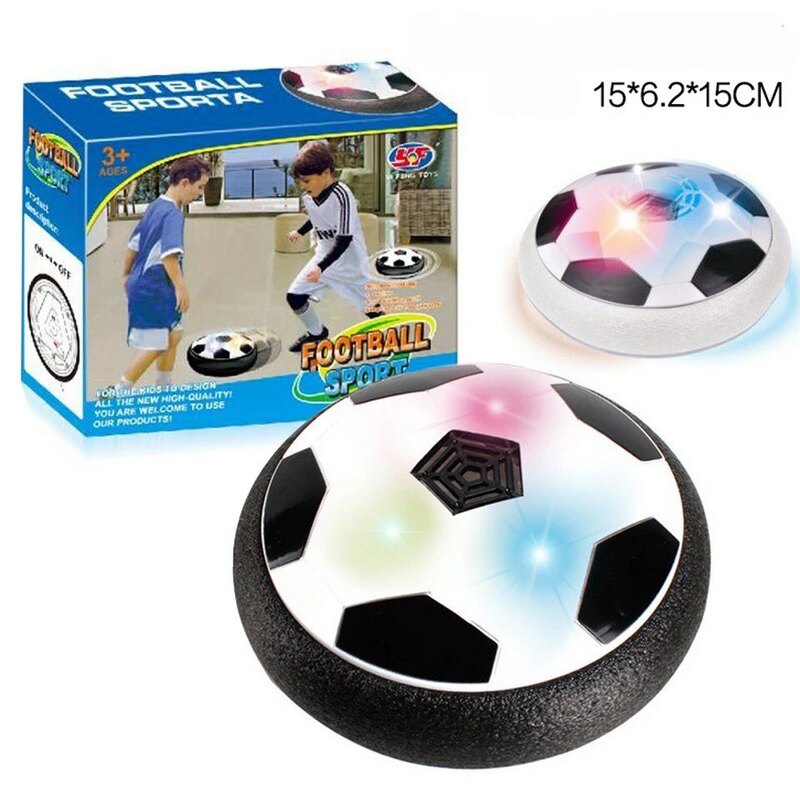 WHERE TO PLAY: The Air Power Soccer Disk can be used indoors or out! As long as you have a smooth surface you’re good to go! good toy! quality, baby satisfied bright light! thanks to store, and fast shipping! super! all working! same as the picture! store recommend! thanks so much for. well packed, delivery time.